This is our second home purchased through Julie and things went just as smoothly as the first. Julie is knowledgeable, approachable and personable and has been a pleasure to work with. I would recommend her to everyone looking to buy or rent-to-own a home! Working with Julie & Freeman Real Estate was a very good process. Julie laid everything out at the beginning and what she said about the rent-to-own process was very accurate. As a landlord she was great, when something was broken or not working right, she adressed them right away and kept me informed everytime. We would highly recommend that others work with her as well and get into the home of your dreams faster! Julie did outstanding work! She kept her word 100%. Everything is clean and was done correctly. AW Home Improvement did an awesome job on the roofing and siding. Getting into a rent to own with Julie was awesome and easy. We were able to purchase our home within 5 months of starting the process. We would absolutely recommend anyone who is thinking about working with her. The house was fixed up and in great condition. Julie was very easy to work with. We love the neighborhood. When my husband and I went to look at our beautiful home for the 1st time, we never imagined that one day we would be the Homes' Owners! I have and would recommend Julie Freeman to anyone looking for a home. With her special tourch on her homes she makes them all amazing and ready to move in. We had some back luck with medical bills that hurt our credit score. 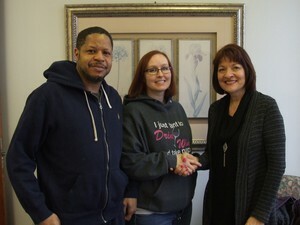 Julie had faith in us and worked with us until our credit was all cleanded up. Julie Freeman Rocks!! I just wanted to take a minute to say thank you for giving us the opportunity and helping us to achieve our dream of becoming homeowners. Working with you has been so wonderful and you have made the process of buying our home so incredibly wonderful and stress free. Again, thank you so much for everything you have done. We trully appreciate it and love our home so much! We were very close to being ready to purchase, but needed some time to get our finances and credit scores to the desired level. We found a house that was everything we were looking for and that's where we met Julie. She introduced us to the option of rent to own. This turned out to be the perfect option for us, we were able to take the time we needed to tighten up for finances. Julie explained the process very clearly, and was very honest. Julie introduced us to lender that was instrumental in helping us get fnancing. Julie and John were very helpful and attentive during the time were were renting, answering any questions immediately. 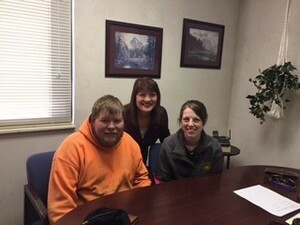 The process went almost exactly as Julie described and we were able to purchase our first home! I never expected to be able to own this condo! The process was fairly easy and the owners were a pleasure to work with. I would highly recommend Freeman Real Estate LC for rent to own homes. My home is my SANCTUARY! Julie helped us a lot. She was good, answered all of our questions and gave us a nice house! We are so happy as a family to own our first home. It only took two months for us to get here! "We were originally thinking our credit was not sufficient enough to purchase a home at the time. Julie then explained to us the ren-to-own process and how it would benefit people like us in our situation." Has been helpful through the time it took for us to come to terms to financially be buying a home and worked with us and our family! Went from Rent to Own to being new homeowners in just 3 months! We were in the process of rebuilding our finances. We wanted to be homeowners but purchasing the conventional way was not an option. 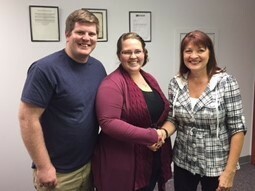 Julie explained the rent-to-own process and answered our questions, and she was willing to work with us. We highly recommend others to look into the rent-to-own as a purchase option. I thought I could only rent a home. Julie showed me how I could own a home for my family with a contract purchase. When we first saw the property that we currently are renting to own we thought there wasn't any chance that we could live in such a beautiful home. I don't have good credit or the longest work history, but with the help of Julie Freeman she helped to make this possible. Julie made this a very easy process to put us in the home of our dreams. Thanks for making whis ppossible Julie. As tenants of Julie Freeman's for the least several years, we appreciate the value of a great landlord! She is understanding and easy to do business with and we could not be happier! "If you want to find the right home, call Freeman Real Estate LC." Purchasing with a contract was just perfect for us.